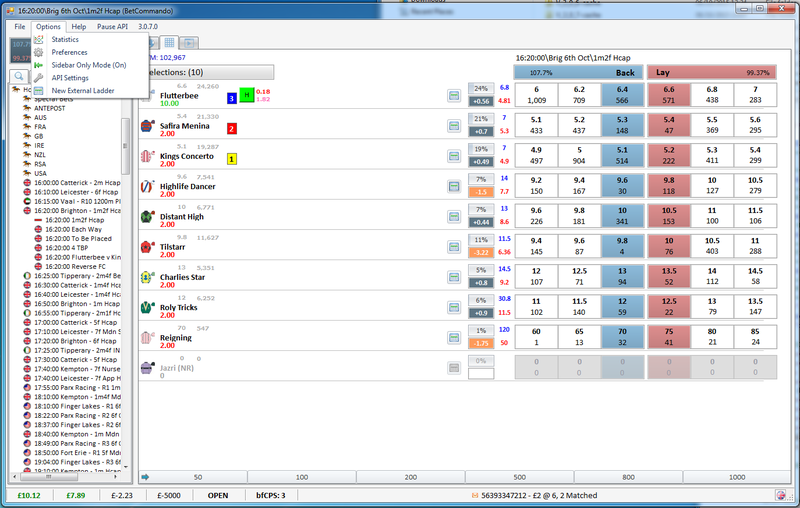 Bet Commando is a one-click betting app that provides an animated view of horseracing events. 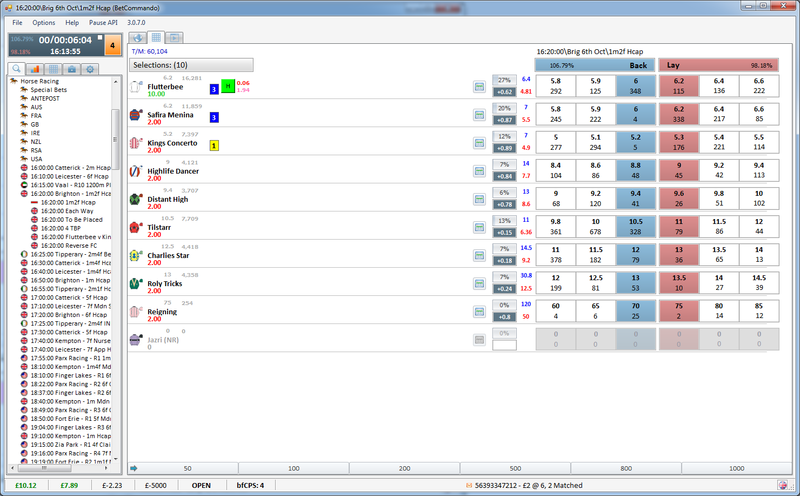 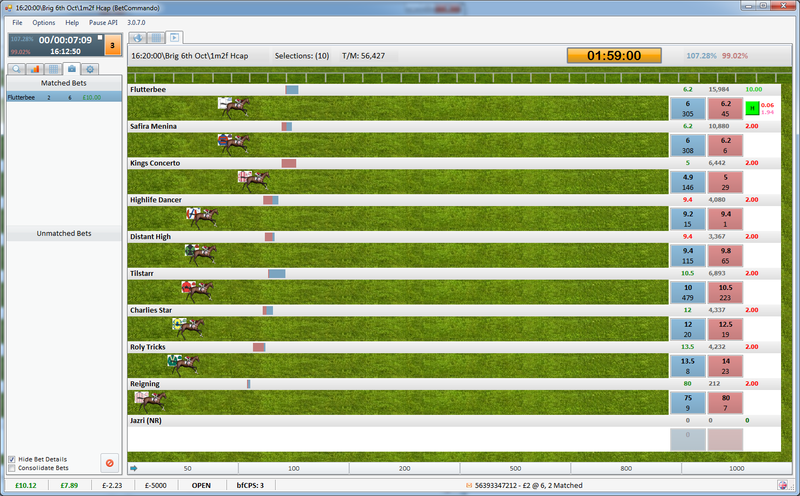 From here users can see the horses run/lead/takeover/drop back during an in-play horse race. 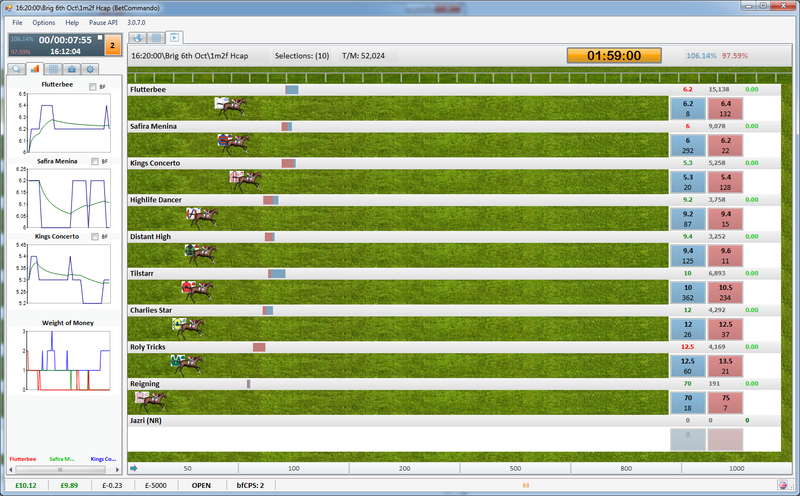 Additionally, the interface contains a race countdown timer based on actual race data. 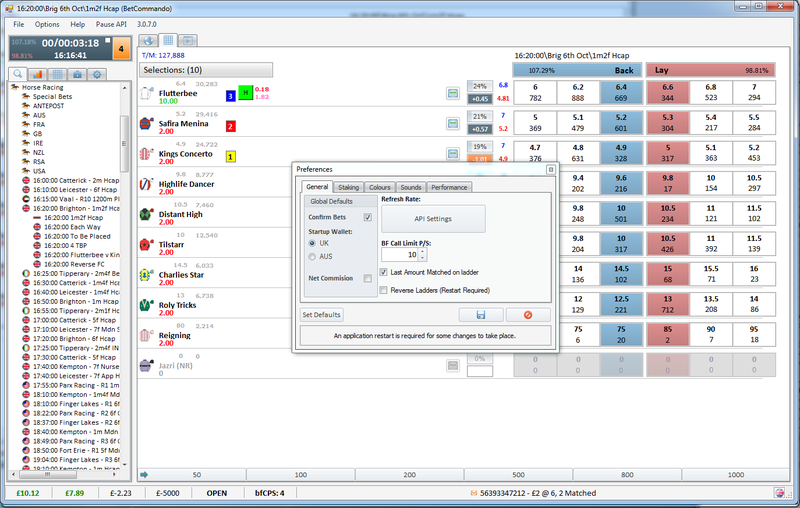 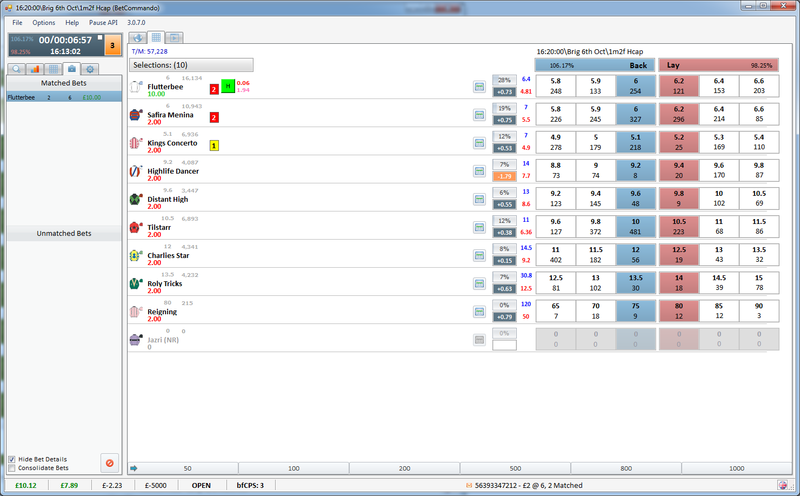 This interface is designed for the in-play horseracing trader who needs to make fast decisions. 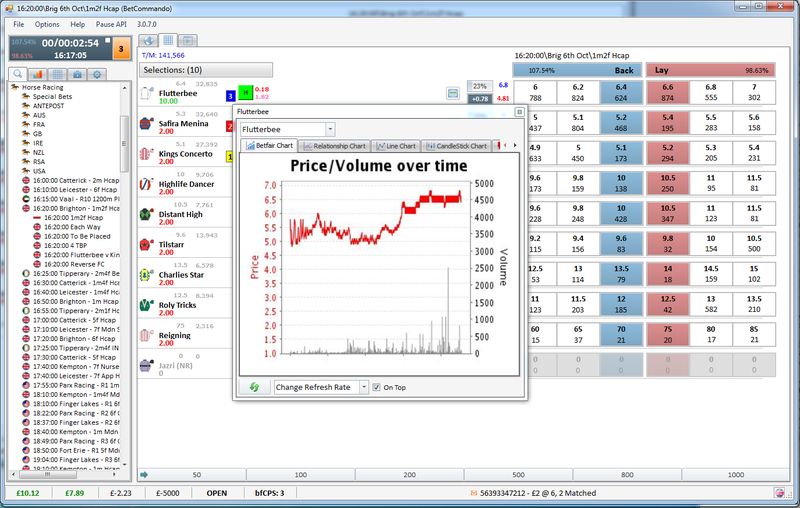 Bet Commando - built for sports traders by sports traders. 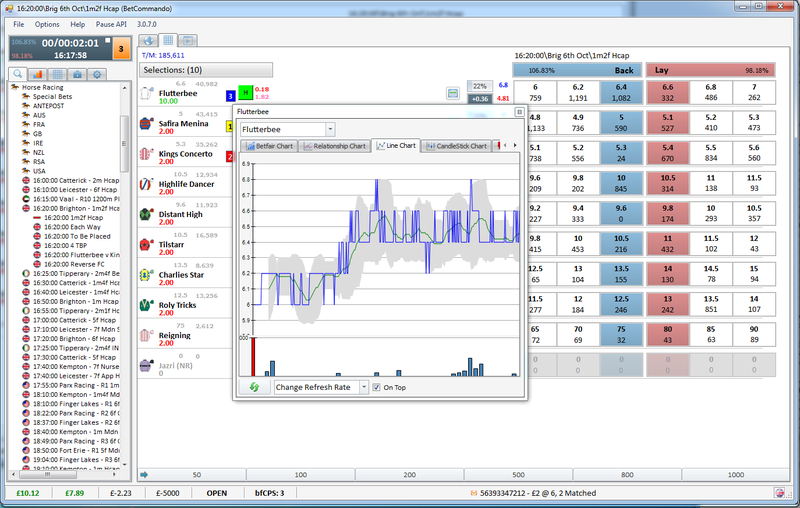 Bet Commando is your go-to software for all your sports trading needs. 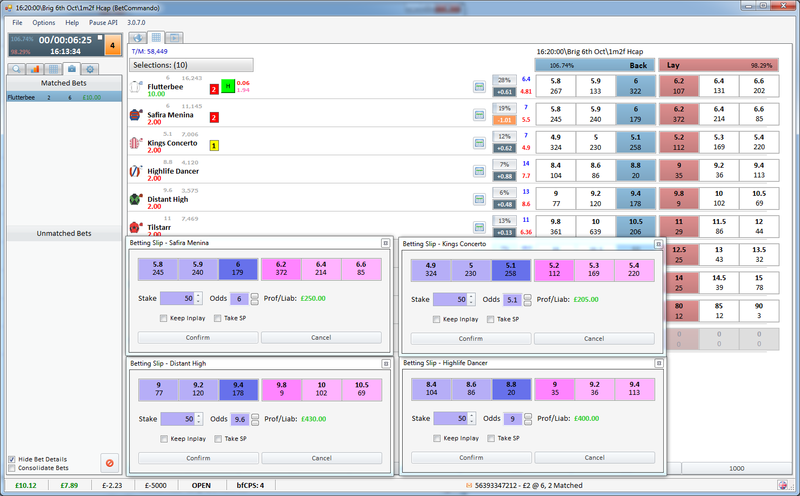 Years of real-life battle testing has produced this easy to use, simply laid out, state of the art, lightning fast software. 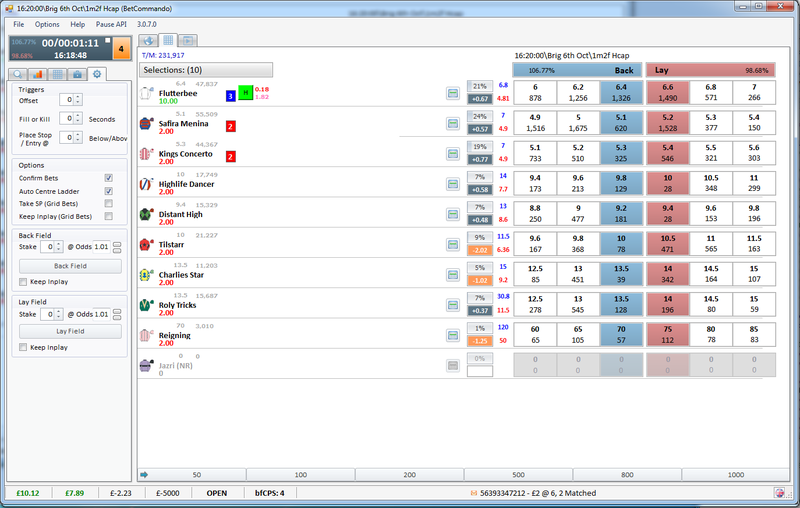 Bet Commando boasts an impressive list of standard features plus our own “Race Line Technology” and worlds first Animated Horse Racing Betting Platform all with one-click trading. 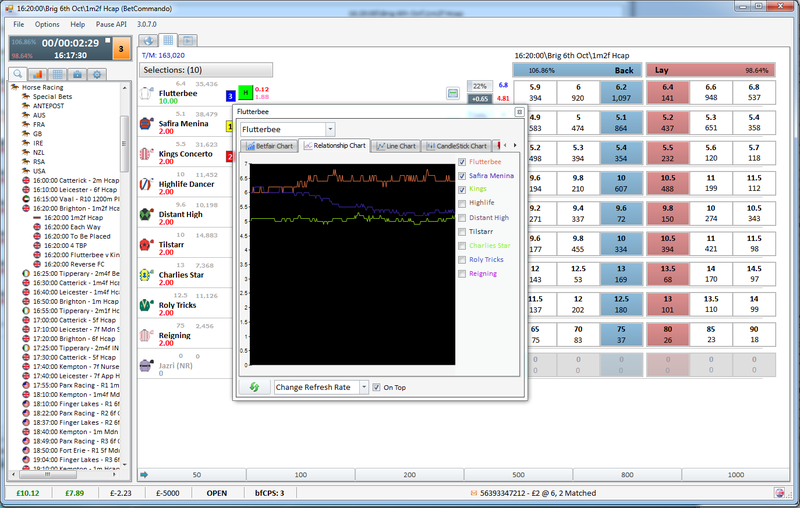 Best Bang For Buck – Won’t break your bank while learning to become profitable.